Six Reds – Hit or Miss? The final of the 2012 Sangsom Six Red World Championship will be contested between Mark Davis and Shaun Murphy, after the pair came through their respective semi-finals today against Wuxi Classic champion Ricky Walden and world number two Judd Trump. Late yesterday evening I raised the question on Twitter as to what fans made of the tournament this week and the most common response was that the it was ‘pointless’, while one follower replied with the increasingly stock comment whenever a new format is tried that it is ‘better than Power Snooker’. Of course six red snooker is not a new format, this tournament has been staged since 2008 now, while a year later at the Crucible, there was a also a Six Red event trialled, won by veteran cueist Tony Knowles. Back then, former World Snooker chairman Rod Walker had likened the format to that of Twenty20 cricket, with a view to introducing more tournaments operating the format with the aim of attracting a younger audience to the game. Since the regime change and Barry Hearn taking charge however, the governing body have elected not to pursue the format, save for this particular event in Thailand which continues to attract a strong field each season. So what are the perceived advantages of the format? 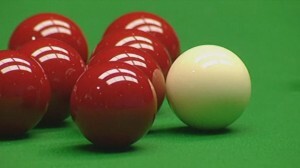 The idea is that with fewer reds on the table, frames and therefore matches, can be concluded more quickly and it will help to attract new fans to the sport who perhaps do not have the patience that the rest of us have in order to sit and watch some of the more protracted frames which will inevitably occur under the traditional format. While snooker fans like myself enjoy the slow-burn nature of the sport, there are those that prefer the action to be more immediate. Another argument I have seen is that the most entertaining frames are those that come down to a battle on the colours or the last few remaining reds, so under this format we are merely skipping straight on to that point in each frame. In practice, while I am not convinced by either argument, the event has certainly been watchable, particularly with the stakes being raised as the week has progressed and the top prize of £40,000 has become ever-closer to those through to the knock-out rounds. Compared to other formats such as Power Snooker and the Snooker Shoot Out, this is still snooker and can provide us with some of the drama that we see under the traditional format. Despite that however, from my point of view at least, whilst watching tonight I could not help but feel that there was just something missing (as well as the other nine reds), though for a while I could not quite put my finger on it. On reflection, the best way that I can put it is that I think that the artistry of break-building is lost somewhat. By that I mean that the development of the bunch of reds, the flicks, the cannons, the nudges and so on that in 15 red snooker are necessary in order to construct the bigger breaks on a regular basis. In traditional red snooker of course, there are often just a couple of loose reds before a player must think about going into the bunch and for me at least, watching the likes of Stephen Hendry and Ronnie O’Sullivan develop the reds as only they can is perhaps the most enjoyable aspect of watching snooker and what impresses me most as a fan. In the six red format however, the reds tend to be separated from the break-off shot, aside from the red at the top of the pack below the pink, which can lead to the rather repetitive situation of the player attempting to clear the table, trying to split the two balls, avoiding the situation there the cannon is missed and the player is left snookered. All in all, as I mentioned previously, the format is more than watchable and can provide entertainment, but perhaps inevitably six red snooker does feel like a diluted form of snooker where while the rules are largely the same, traditional elements of the sport are missing and it is hard to follow too seriously. What is your verdict on the format? 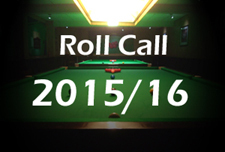 Best off shoot of snooker. Better than any of the shot clock rubbish including the Premier League, and beats the awful World Cup. I do think it’s too easy to make total clearance here though, as only one red is stuck to the pink usually after the break off, and it only takes a simple cannon. You still get the scraps on colours and safety battles though. 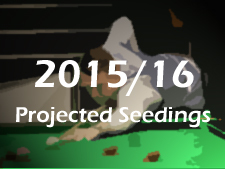 With all the shorter offshoots of snooker, I think we need some longer formats to balance it out. Maybe 21 reds? The two extra rules (no roll-ups, and ball in hand after five misses) would work very well in the proper game itself. Remember in football when they added the ‘no back pass to the goalkeeper’ rule? 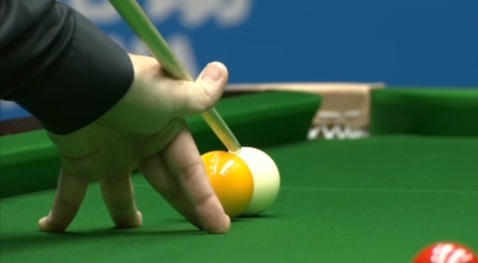 Stopping roll-ups would be just as useful for snooker, I think. Completely agree with you Tim. Snookering your opponent on your nominated colour should be outlawed in snooker, just as it is with the free-ball rule, thus taking away the roll-up. 99% of the time, the roll-up is used as a defensive tactic, and with the miss rule being the way it is, in can result in a player accumulating a number of points from their opponent’s misses which is unfair. defensive tactic of rolling up is sometimes the best attacking option of opening up the frame for a counter attack after a shot to nothing. so no none of these rules should be brought in to the proper game. First, it’s not a new format and that’s not because it was brought around in 2008 by the former board. It has been played for ages in certain part of Asia and notably in Thailand. Next, if you have only watched the semi finals, then you have missed the most interesting aspect of it because the Thai players – who play this regularly I reckon – go about it differently than the likes Trump, Walden and Murphy. They do develop that tiny pack gradually – which requires a different approach to the pack development – and more often than not it resulted in a close frame ending up with a battle on the colours or on the last red with just one or two snooker required are the norm rather than the exception. There was a very strong and enjoyable tactical side in most games that James Wattana played. It’s good to see players trying to get snookers, which is a rarely seen aspect in the fifteen red game. Only quirk is that having devised a shorter and faster game, they then lengthen the matches in terms of frames. Though I’m glad they have. In conclusion, it’s a good game, and it moves the emphasis away from heavy scoring, which levels the playing field to certain extent as it’s the scoring that seems to set aside the best from the others. I would like to see the top players play it more often. Chess or Draughts – both require application of skill, strategy & execution and the same applies here. Great to see the increased Prize Money and why not make it a Ranking Event given this factor. 6 Reds is entertaining ‘snooker’ and the bigger the Prize Money the greater the interest by all Top Players and specatators – roll on a £100k Winners Pot. I checked “other” in your survey because there was nothing which corresponded to “okay.” I found six reds to be interesting, something I’d watch again but not if I had the choice of the original game in the same week. I noticed that the players use the straight pool (14.1) break in which you clip one of the corner balls, that ball goes to the top cushion and back and the opposite corner ball goes to its side cushion and returns. I always wondered why this break isn’t used in the original game. It seems to me that the normal break-off leaves the possibility of a pot whereas the straight pool break doesn’t and the first player will usually back to the table with no score yet. Maybe the players think this straight pool break results in too much ticky-tack before the scoring starts. The Thai producers did something different with the graphics. They displayed the individual frame scores in a line-score format similar to other sports. This made it easy to see which frames were contested, which were easily won, and if one player took a skein of won frames. I hope the BBC and Sky consider using this format. I agree with the others who like the no roll-up rule. This is the one rule in snooker which I strongly dislike and the only thing I don’t like about the game as it’s played. (Well, I also don’t like the 8 hour difference between here and the UK and the relative unpopularity of the game which makes it difficult to find decent playing conditions and no professional game here in the US, but that’s not related.) In every other form of pocket billiards, you must find a cushion with either the white or the object ball after legal contact. I don’t like a rule which yields so many points for an intentional shot which requires so little skill. Scoring should equate to skill. I noticed that the attendance was very sparse, at least during the first two rounds. I don’t know if it was the cost of tickets or that the locals preferred to watch on television, but I saw a match with Steve Davis and a Thai player which might have had 20 people watching. There was another match (I think it was Mark Williams versus a Polish player) which had more people on the playing area than in the seats! All credit to the Thai organizers and TV producers for not hiding this poor attendance. One more note, and remember that I’m of Chinese descent, before you call me intolerant. One of the things I notice about a lot of Asians who don’t speak English very well is they are shy and mumble. I realize it’s also cultural; many emigres tell me they can tell I’m American-born immediately, and not just because I don’t have an accent, because my voice is big and confident.The referees didn’t seem to be very confident in their English and they spoke so softly it wasn’t easy to understand them. I should have said that the original sometimes leaves the possibility of a pot, whereas a straight pool break will always return play to the first player with the game still scoreless. If you used the same kind of break with 15 reds there’s no real advantage. If you get the snooker, the pack is a big target for a defensive escape. Even then, there’ll be nothing on. It’s just too negative, but with six reds you have a good chance to lay a snooker off the break which will be harder to hit and get safe. The entry fee was 300 baht (10 dollars) this year, whereas in previous years it had been free and well attended. While 300 for the while day isn’t bad, and I believe it went to charity, it is less attractive if one only wishes to attend one session (the evening after work). That may be the most likely explanation for poor attendances, along with the usual suspects of limited promotion and poor location. It is rather strange to have a game called snooker in which laying a snooker is deemed illegal. It would make a nasty surprise for a player who plays a great shot to nothing, pots a red and returns to baulk, only to find that he is forced to leave his opponent a shot at a long red because he’s not allowed to cover the pot by rolling up to the yellow. exactly it would seem very Odd Banning certain Types of Snooker from a Sport called Snooker. The most interesting thing about this article is how much the winners share of the Welsh Open has Doubled in 2 years. The six red format has something non-obvious going for it. In the United States most people who have pool tables simply have spots and Stripes. Snooker is not approachable for many of these people. However, six red snooker can easily be translated into stripes and solids. You replace the 6 Reds with the six striped balls 10 through 15, which is an easy translation for eight ball players. It’s also easy to remember that they are worth 1 point because each number starts with the one. The colored balls can then be replaced with the spots/solids, replacing with the balls that have the exact number of points that you would score. That way, the Newbie doesn’t have to remember what each ball is worth because he can see it right on the table and can score more easily. Anything that makes a game easier to play for a new person makes the game easier to follow as a spectator and hence more popular.